While working on a project I stumbled into a cool design with Meta Balls in Cinema 4D that creates this 3D version of the Rorschach Test. It’s the famous test where you are given 10 different ink blots to stare at by a psychologist and you are asked what you interpret the image to be. They are just smudges but sometimes you can make out the silhouettes of certain objects or themes, thus determining if you are 100% completely insane or not. Using a Cloner with a sphere, a Random Effector, a Formula Effector, and Meta Balls, I was able to create a free-flowing version of a test. The great thing about Using MoGraph with this is you can alter the random seed, the number of clones, or any number of different options and get a completely different looking animation. Pause the video at any point and look at the pattern. See anything interesting? 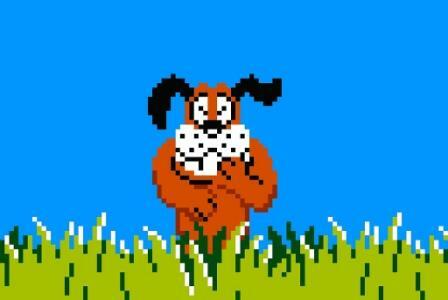 Clearly this is the Dog from Dunk Hunt laughing at you when you fired and missed shooting at the duck. I was trying to come up with a new way to show what the Sound Effector in Mograph can do for a lesson in my upcoming book. I wanted to make something that was beyond the simple “Hey look at the clones scaling up to the sound of beat” animations we’ve all seen. So I created this shiny, squirmy, dancing turd rock. GENIUS. There will be a short and sweet lesson on how to create it in my book, in case your future clients demand you make one. I recreated the baseball promos I’ve seen this season on ESPN. I modeled the whole scene in Cinema 4D and did the compositing in After Effects. This scene relies on the camera position being parallel to the wall to recreate the simple and smooth pan along the warning track. I used Mograph to create the wall by cloning the padded panel, and once I modeled one seat I simply used cloners to create the rows. The grass is made with Hair; it really slows the render down but it creates the best looking 3D grass in Cinema 4D. I added the titles that I created in Photoshop to look like they were painted on the wall, and did some color correcting and added some grunge to enhance the scene. They look very similar to the commercials you see on ESPN, and the best part is that once you create in in Cinema 4D, you can simply swap out the titles to change the teams and games to say whatever you want. The Red Jays beat the Blue Sox that night 6-4. I made a tube in Cinema 4D. Q: I’ve watched the tube and I’m confused. What exactly does this tube do? A: The tube doesn’t really do anything per se, it is what it is. It moves, and then the pieces inside it move. Q. I see. How did you go about creating this tube? A: Well I was trying to come up with a different way of presenting/containing/revealing some text in Cinema 4D. Instead of having the letters just sit there, I put them in a tube that kind of looks like those things at the bank or the basis for Teenage Mutant Ninja Turtles. I used MoDynamics to get the right feel for the letters to behave in their new vacuum sealed world. Then I altered the position and rotation of the tube to shake things up and have the contents bounce around. I added some marbles inside there because I felt like it. Then I added reflections and materials in order to make it look cooler and we arrived at the tube which stands before us today. MoDynamics is awesome, I am using it all the time. You could create some really cool stuff with just Mograph before this addition to the module, but adding the ability to make your clones collide and interact with other bodies make it so much more powerful. Here is a simple animation I made, it’s a quick revealer that can be used to bring some type, footage, objet, etc. on screen. You basically keyframe the hero box, have it blend in with some dummy clones, and animate the surfaces of the plane to unravel to showcase the contents of the box. Because bar graphs shouldn’t get all the love. So I’ve got all of these unfinished projects that are just rotting on my hard drive. I come up with an idea and don’t know what to do with it. They are usually pretty simple, and I rack my brain trying to come up with a ground-breaking way to present my simple idea. It usually results in a dead end. So instead I’m just going to start posting them under the umbrella of “Short & Gray.” Since they will have just a plain old gray texture and be 5 seconds or less, the title fits. Maybe I will be able to use them down the road as part of a bigger project; it’s always good to have a library of random designs built and ready to go. This is the first one, called Jiggle Text. It’s just some simple MoGraph using a Step Effector and a Delay Effector. The text is bouncy in a Jello type of way. Here’s a little something something I came up with just adding a bunch of effectors together in MoGraph. The main effector in charge here is the formula effector. That is controlling the motion of the text flowing around and the floating of the arrows. The random effector and target effector are also involved. I also like the candy or bubble-gum color scheme got going on here.